A few days ago I had a wonderful opportunity to volunteer at a local camp for kids with food allergies. 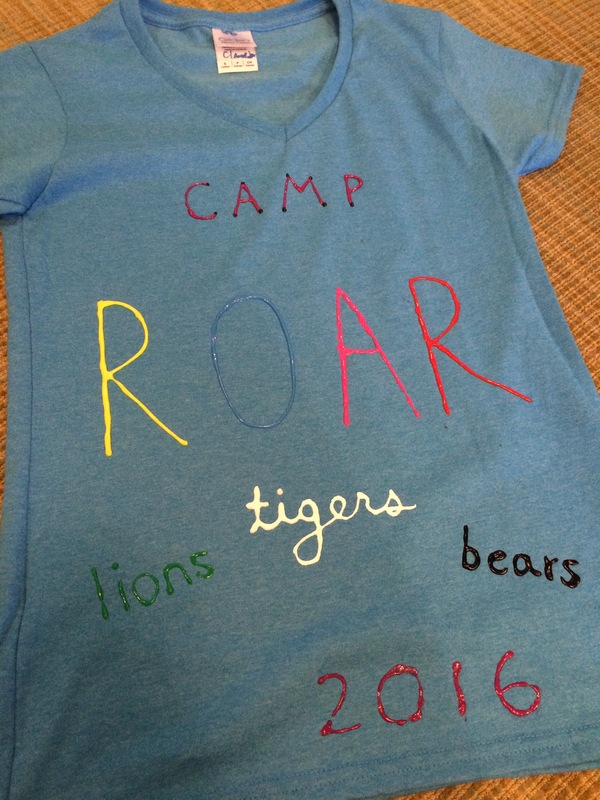 The camp was called Camp ROAR (Really Outstanding Allergy Retreat) and participating kids were divided into three different age groups called Lions, Tigers, and Bears. Every morning for one week, the kids had discussions about food allergies, played sports, and did crafts. Kids brought their Epi Pens and other medications as well as a snack free of their allergens, and before and after snack the kids were asked to wash their hands so as to keep other campers safe. When the group who organized the camp, PAK (Parents of Allergic Kids), asked me to volunteer, I was thrilled (even though I was only able to make it to one day of the camp). Throughout the morning I spent at the camp, I was so excited to see the kids being able to meet and talk to other kids with food allergies. When I was younger, food allergy camps were uncommon, if not nonexistent. In fact, I did not meet any kids with severe food allergies like mine until I went to FARE’s Teen Summit for the first time a few years ago. It was nice to know that the campers would be able to experience summer camp without some of the usual dilemmas like having to have a different snack from everyone else or not being able to participate in an activity because it involves their allergens. I loved seeing them have meaningful conversations about food allergies. They were willing to share their stories at such a young age without being embarrassed or feeling different or weird. Camp ROAR really is really outstanding!